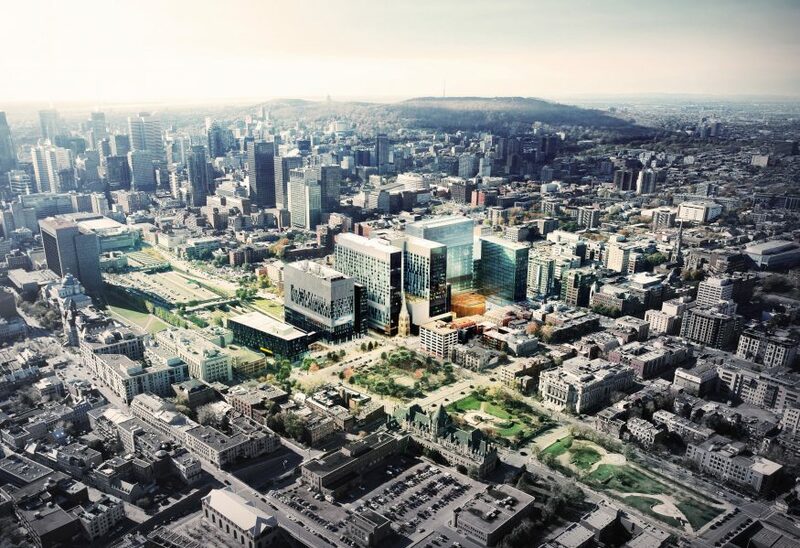 CannonDesign + NEUF architect(e)s have unveiled details of nearly a decade of work on the Centre Hospitalier de l’Université de Montréal (CHUM), the largest healthcare construction project in North America and one of the largest current healthcare projects in the world. 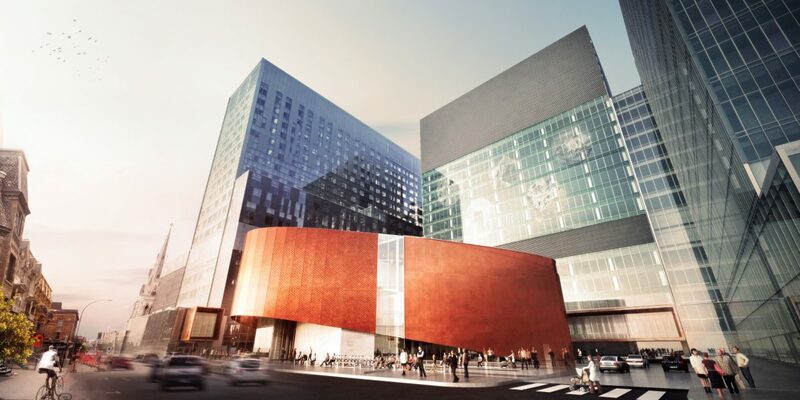 Now nearing completion of its first phase, the CHUM teaching hospital is also the largest public–private partnership healthcare project in Canadian history, set to revitalize an entire sector of Montreal’s urban core. 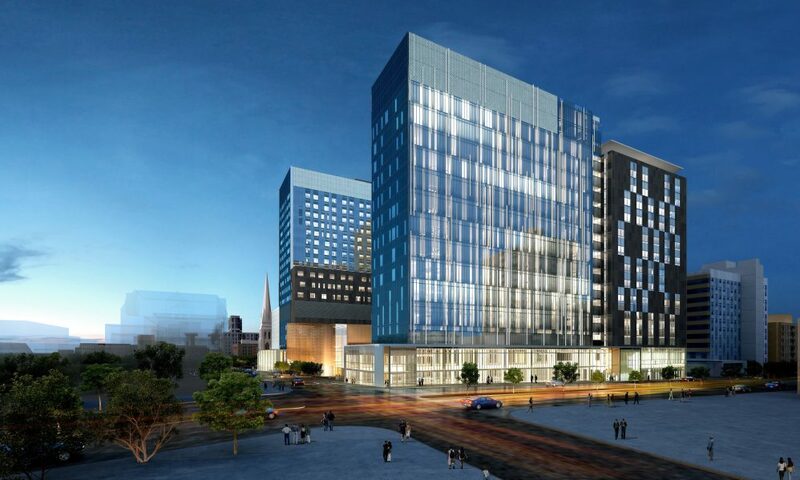 The CHUM complex will include 772 single-bed patient rooms, 39 operating theatres and more than 400 clinics and examination rooms. 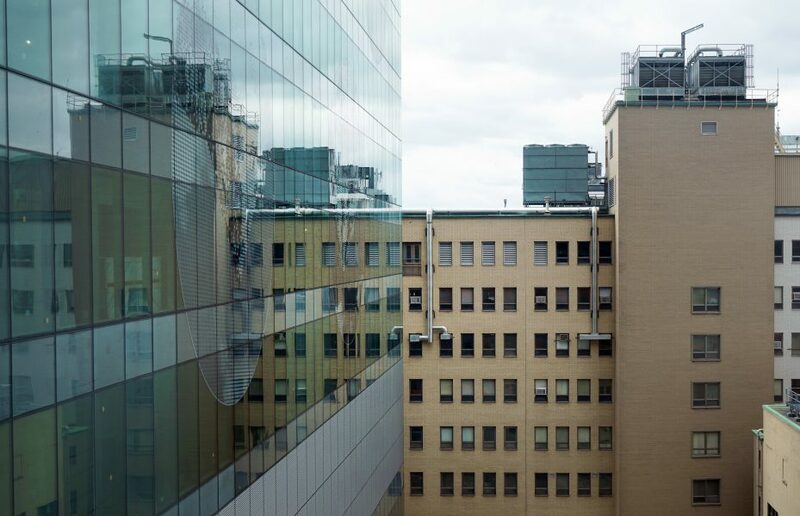 Beyond the logistical scope of merging three aging hospitals — St-Luc, Hôtel-Dieu and Notre-Dame — under one roof, the CHUM project is a prime example of thoughtful architecture solving highly complex problems, with social infrastructure and urban renewal as integral components to its design. 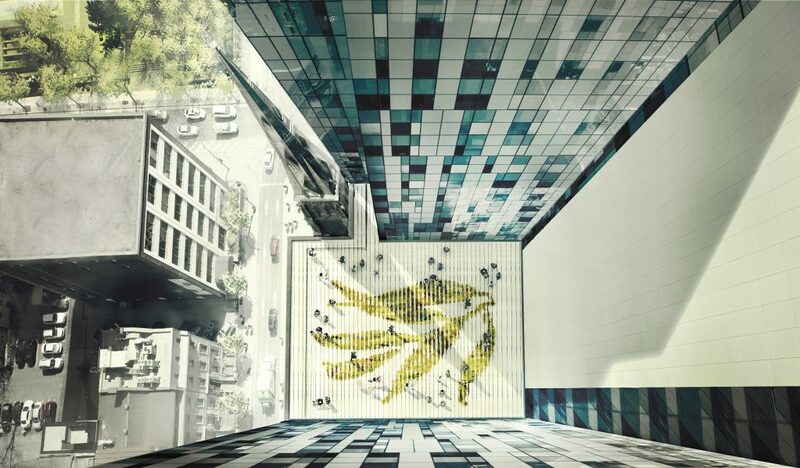 The 22-storey complex, spanning over three million square feet and encompassing two full city blocks, will play an important role in regenerating the neglected east-end of Montreal’s downtown core, reconnecting the city’s urban fabric and anchoring the Quartier de la Santé, Montreal’s new healthcare district. 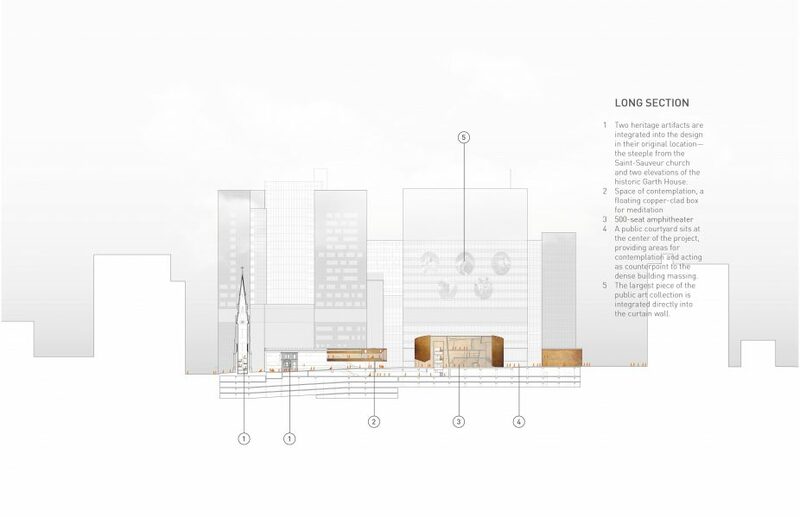 In addressing the totality of that task, the design team approached the project from all scales, including the large-scale urban element, the local neighbourhood context and the fine grain of a human component, central to its vocation as a place of healing. 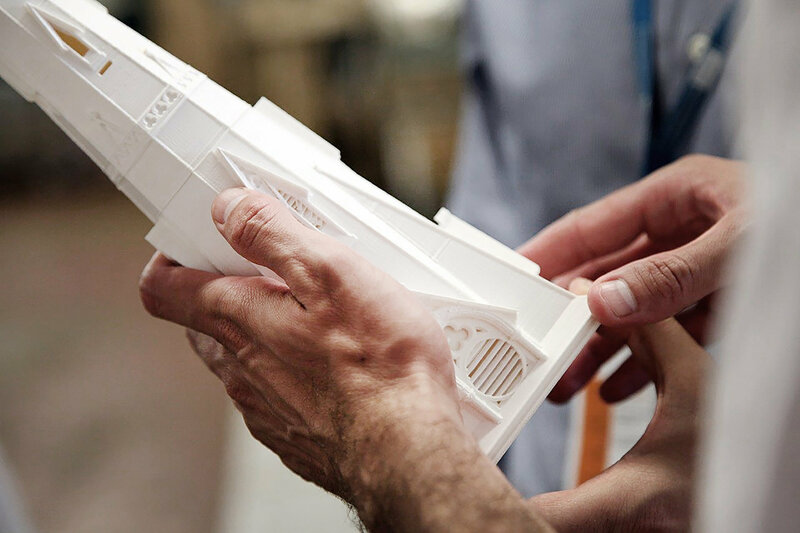 On a larger scale, the design team faced the immense challenge of resolving difficult constraints of site, clinical model, construction budget and schedule. These challenges were resolved by an innovative design solution that greatly improves upon the clinical program of the institution, while maintaining the services of an existing hospital on the development site during Phase One. 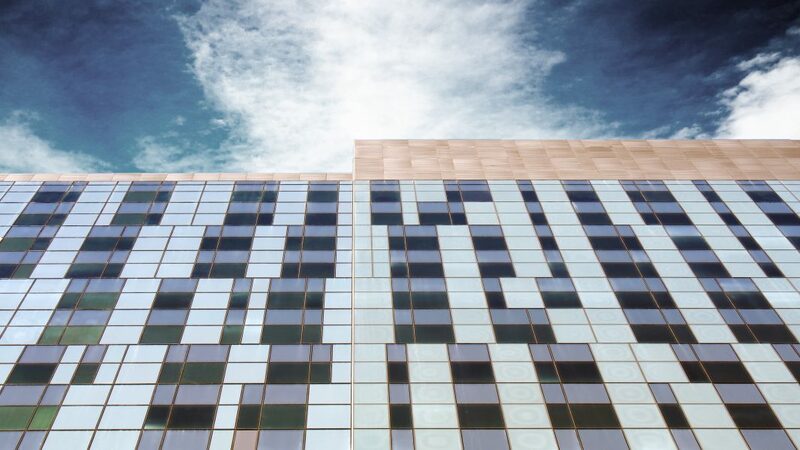 Initiated in 2009 as a two-phase project, the team reconfigured the indicative design of the campus arrangement and architecture in order to accelerate development. As a result, Phase One, which is now nearing completion, will deliver the hospital’s core healthcare capabilities, including all patient rooms, operating theatres, diagnostic and therapeutics, as well as the Oncology program; leaving only offices, a conference centre and a few ambulatory spaces for Phase Two (to be completed in 2021). 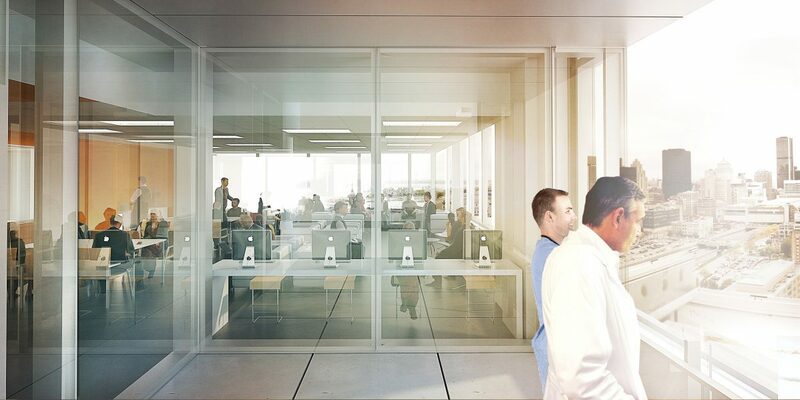 This allows the Quebec population to start benefitting from the much-needed state-of-the-art healthcare infrastructure years sooner than anticipated. 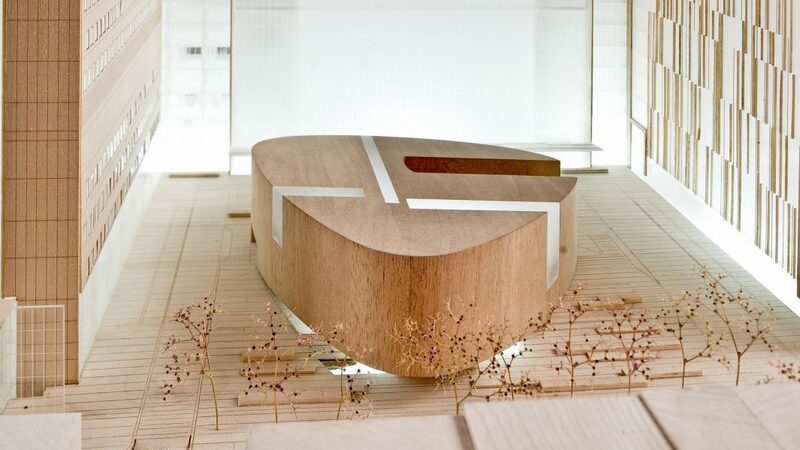 To break down the massive scale of the project, the design team wove an important public space component into the campus to make it as open, transparent and welcoming as possible. 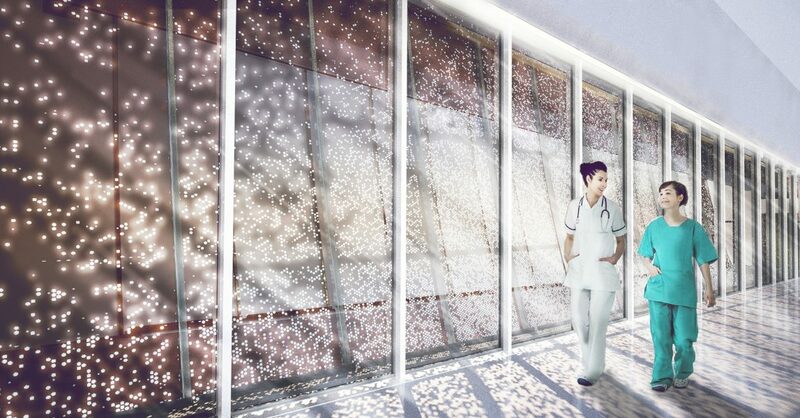 “Our team recognized the importance of creating a human experience that draws people in to interact with the building in a variety of ways, without it feeling overbearing to visitors and patients. 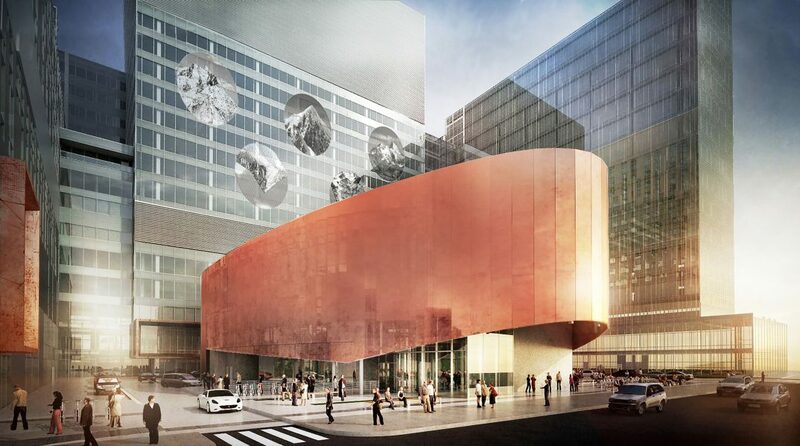 We wanted to completely redefine Montrealers’ image of what a hospital feels like,” says Azad Chichmanian, partner and architect with NEUF architect(e)s.
The design team met that challenge by being sensitive to the project’s surroundings, creating an undulating public space that connects entrances on all sides of the complex and enhances the urban flow. 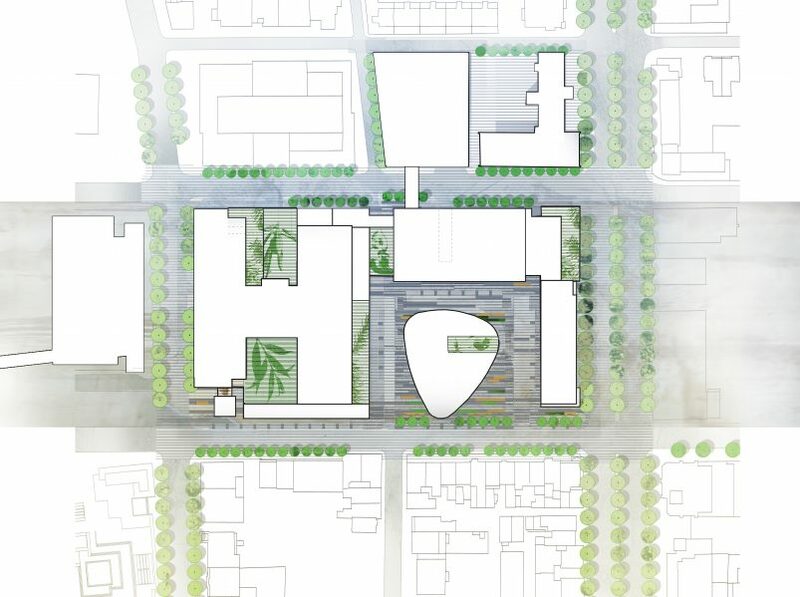 At its core, the main entrance of the CHUM campus has been designed as a large inner courtyard, the Esplanade Jardin, where a contrasting copper-clad amphitheatre serves as a touchstone to the spatial organization of the campus. 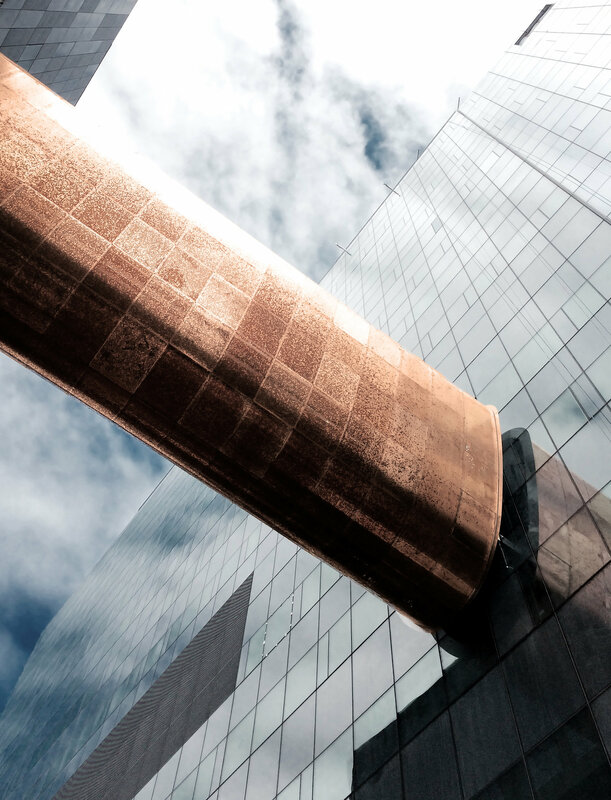 The copper building acts as visual reference throughout the patient circulation network in order to foster an intuitive wayfinding. 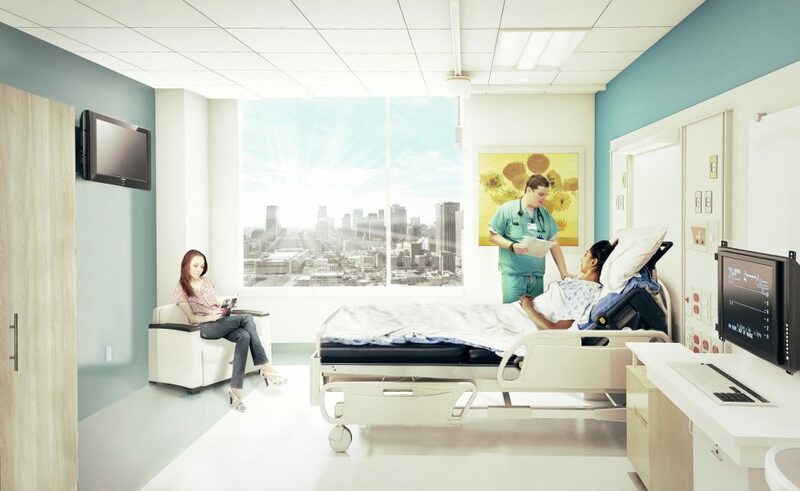 From a healthcare delivery perspective, each of the 772 rooms include ample space for family involvement, and expansive windows offering some of the best views of the city. The entire building was designed following universal principles, and impressively, the vast majority of the 12,000+ rooms in the building were designed following a small number of standardized room templates. “The creation of such an incredible healthcare facility required our design team to look at the project from numerous perspectives, but we leveraged our health expertise to always keep patient experience at the forefront,” says Silva. Going well beyond the Quebec government’s requirement of dedicating a minimum of one per cent of a public development’s budget to the integration of art, the new CHUM campus will have 13 large-scale works of art incorporated into the design and ultimately house the highest concentration of public art in Montreal since Expo 67. 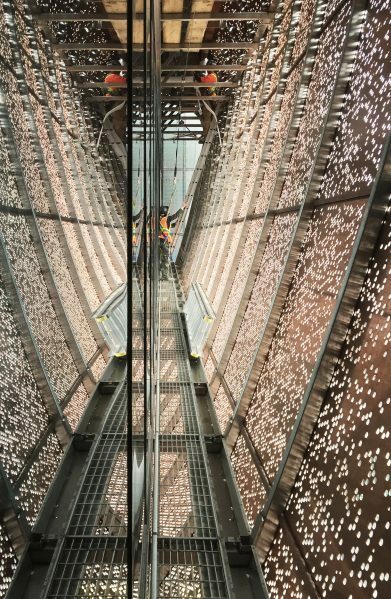 While still a work in progress, the design solutions found to resolve the complexities of the CHUM project have already garnered international recognition for the architectural design team. The team was honoured with an Architizer A+Award in New York earlier this year, as well as with an A’ Design Award in Italy. 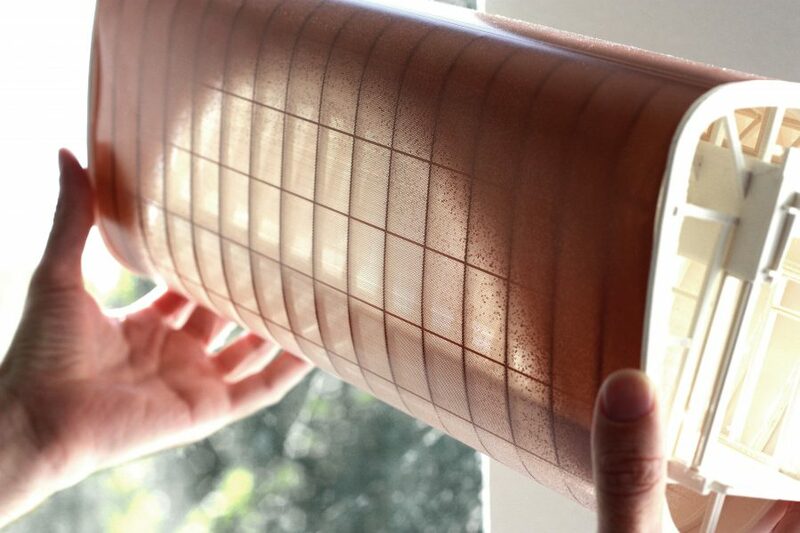 The project was also showcased during the European Healthcare Design Forum in London in June. CannonDesign + NEUF architect(e)s has also been named a finalist in the Urban Design category of the LEAF Awards (the CHUM is the only Canadian project recognized as a finalist), to be presented in London in October, as well as finalist of the prestigious World Architecture Festival to be held in Berlin in November.